While I am a lover of all seasons, there are certain aspects of summer that make it the season I miss the most. I love the warm, summer ocean breeze here on the West Coast. The light of the evening sky that lingers so late into the night. Summer dresses, sun hats and sandals. Every year I want that summer-ness to last as long as possible. Whether you love your summer clothes or you simply want keep the amount of clothes you own to a minimum, the key to transition your summer clothes into fall is…layering! Use thin layers to keep you warmer as the temperature begins to slip lower into fall. Layers are vital for being able to adapt to quick changes in the weather. 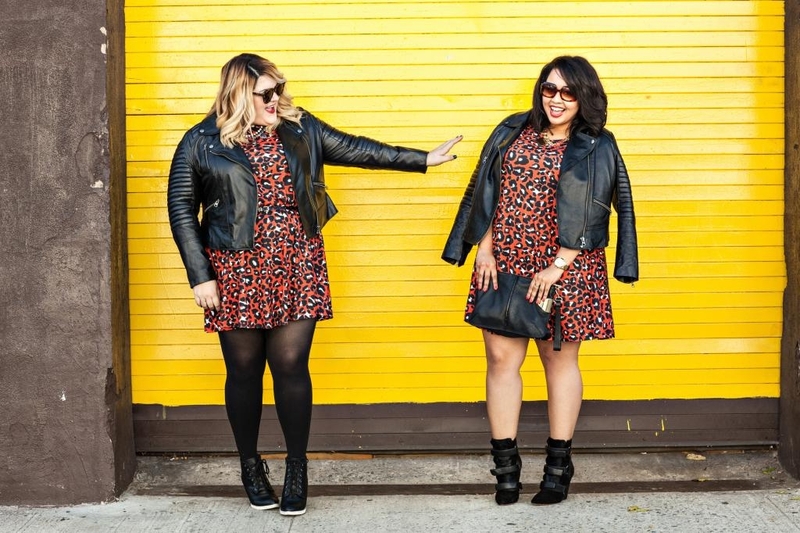 You can still keep your summer dress in your fall rotation, just wear it differently than you did during the heatwave in August. Put an unbuttoned denim shirt with the sleeves rolled up over your dress. Throw your blazer on top of your sundress. Slip a thin turtleneck or lightweight button-up shirt under the dress. All of these options will add a little extra warmth and stylishness to your lightweight, sun-soaked dresses. Similarly, your average top-and-pants outfit can be layered to increase its weather versatility and its personality. Add a light jacket, like denim, a bomber style or a cropped trench to any outfit. Make sure you can remove the jacket and still be put-together (i.e. it’s best not to wear your undershirt-y camisole under that jacket). 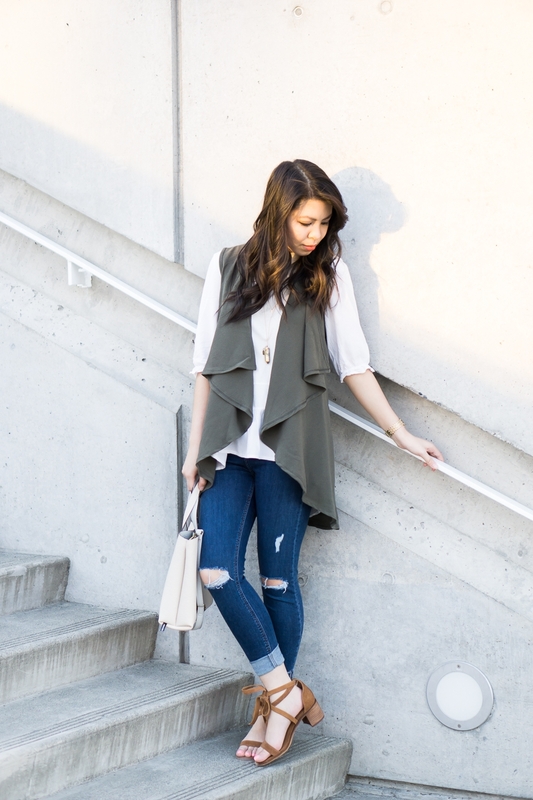 Layer an easy, wear-anywhere utility vest over your basics. Put a long-line faux fur vest over your favourite summer striped T-shirt. Wear a cardigan over your button-up shirt and roll the cuffs up over your cardigan’s sleeves. Roll up the sleeves on your button-up shirt. Add a colourful, oversized scarf or a slim, tied-at-the-neck scarf to your shirt and jeans ensemble. Top your transitional outfit with a wool beret or floppy felt hat and you’ve instantly added a seasonally-appropriate, stylish edge to your summer basics. Layers also work on your bottom half to increase your seasonal transition-ability and your style quotient. With this in mind, add booties to summer dresses, with or without tights. Even simply throwing on knee-high leather boots with your sundress will make it look well-suited to fall. 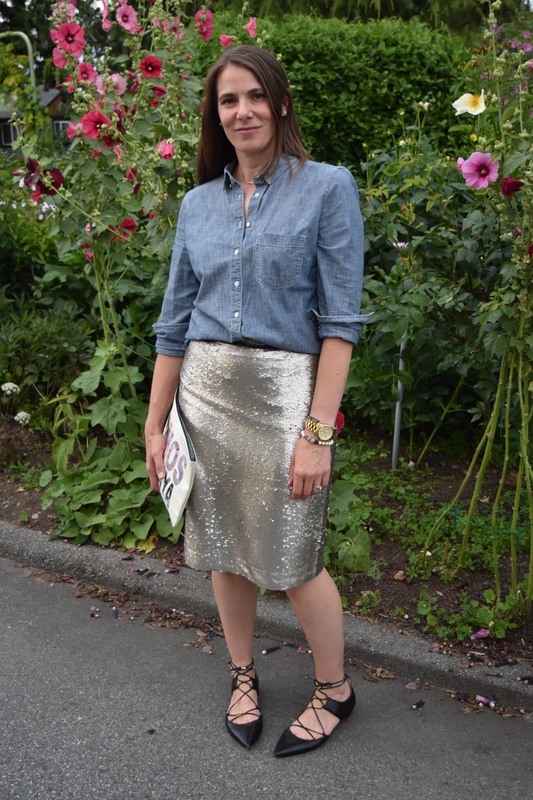 Pair your knee-length denim summer skirt with your tall boots. You may also want to try out peep-toe booties. Transition seasons are perfect for peep-toe booties as they offer a little more coverage than sandals, but aren’t the best for summer’s heat nor winter’s rain and snow. Wear your pants and jeans in a way that nods toward carefree summer days. Your beloved summer white jeans are a great item that keeps the summer feeling going into fall. Maybe you’re more inclined to wear jeans now that it is less sweltering out. Cuff or roll your jean and pant hems. Wear your summer capri pants with ankle boots. Try out your culottes with narrow-fitting tall boots. Stretch out sandal season by wearing your favourite gladiator or lace-up pair with your pants and jeans. Overall, showing a little skin of your legs or your feet beneath your layers can go a long way to prolonging a feeling of the waning summer days within your fall outfits. With this transitional season in mind, The Joy of Style can help you re-style your closet and find ways to transition your summer clothes into fall. We will help you make a succinct shopping list of the clothing items that will make your wardrobe versatile for all seasons. Contact us today and we will find the clothes you need to fill in your wardrobe within your budget.